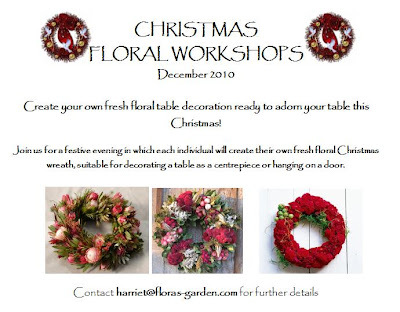 Christmas Flower Workshops – Make your own Wreath! We shall be running Christmas Floral Workshops in December – please let us know if you are interested and for more information. Should be a great festive evening for you and your friends – plus you leave not only with a gorgeous wreath for your Christmas table, but also with the skills to do it again next year!